Microsoft reckoned Bitcoin was the future of payment system and added it as a payment option for Windows store at the end of 2014, but the company has silently pulled support for Bitcoin in the Windows 10 Store. In November 2014, Microsoft struck a deal with third-party bitcoin payment processor 'Bitpay' that allowed people to use Bitcoin to purchase Microsoft’s products and services from Windows Stores. However, Microsoft quietly updated the Windows Store FAQ that popped up "Microsoft Store doesn't accept Bitcoin." The end of support for Bitcoin payments only applies to Windows 10 and Windows 10 Mobile stores. "Microsoft Store doesn't accept Bitcoin. 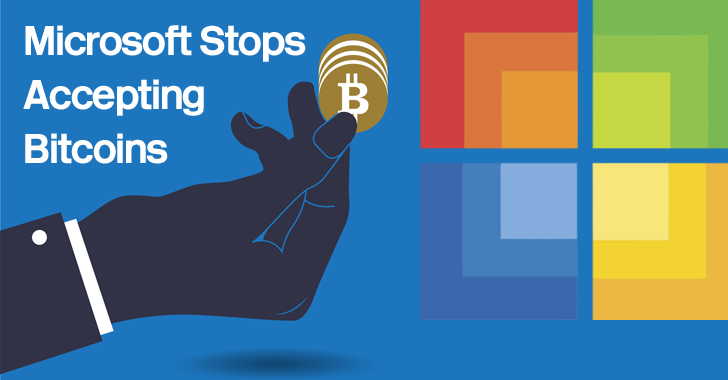 You can no longer redeem Bitcoin into your Microsoft account," the update reads. "Existing balances in your account will still be available for purchases from Microsoft Store, but can't be refunded." In short, you can make use of an existing balance in your account to buy your choice of apps from Windows store, but you can not add more Bitcoins or get a refund of your remaining balance. So, you like it or not, from now on, you will have to use conventional money when buying apps or products from Windows 10 and Windows 10 Mobile stores. Microsoft has not explained the sudden change in its policy. Bitpay is still operating, which indicates that there is no sour relationship between the company and Bitpay. Microsoft's change of mind could be due to less number of people buying with virtual cash that gave the company no reason to continue keeping Bitcoin as a supported digital currency. An official statement from Microsoft is not yet available, so let us wait what the company says about this sudden change.